I know it may be difficult to believe, but there are actually books written before 2005 that are worth reading. In fact, there are a multitude of Christian books written more than 100 years ago that are of more value than nearly everthing you could find in Lifeway or on that hip Christian online bookstore you frequent once a year to pick up the latest fad book. 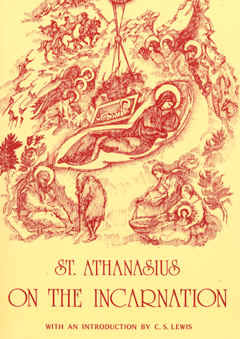 Case and point: On the Incarnation by St. Athanasius. 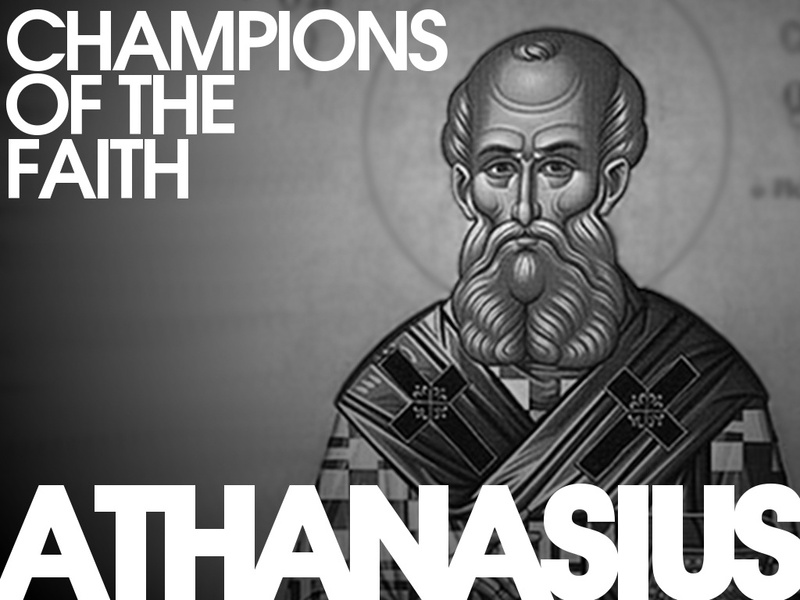 I think St. Athanasius has a good ring to it, though personally I know he’s as much of a saint as any of the rest of us Christians, saved only by the perfect blood of Jesus (and he didn’t bestow that title upon himself–that was awarded posthumously by the Catholic Church). Moving on. This book was written around 318 A.D….gasp, 318! Yes, now hold your horses. At only 120 pages, it is a quick read, and it has a delicious preface written by C.S. Lewis–see, it’s not so bad. Athanasius was feisty for the true Gospel. His nickname “The Black Dwarf”, bestowed by his opponents, was a true, yet demeaning, description of this short man from Egypt. Around the time this book was written, he was one of the only leading figures to stand up for the deity of Christ. Arius, an Alexandrian presbyter, was propounding the view that concerning the Word of God, Jesus Christ, “once He was not.” Athanasius fought valiantly for belief in the eternal Son of God and the essential doctrine that Jesus was not a creature, but the Creator himself. Almost single-handedly, he saved Christianity from running itself into a ditch of heresy, heterodoxy, and false Gospel. Give the man some respect. Some might urge that, even granting the necessity of a public death for subsequent belief in the resurrection, it would surely have been better for Him to have arranged an honourable death for Himself, and so to have avoided the ignominy of the cross. But even this would have given ground for suspicion that His power over death was limited to the particular kind of death which He chose for Himself; and that again would furnish excuse for disbelieving the resurrection. Death came to His body, therefore, not from Himself but from enemy action, in order that the Saviour might utterly abolish death in whatever form they offered it to him. A generous wrestler, virile and strong, does not himself choose his antagonists, lest it should be thought that of some of them he is afraid. Rather, he lets the spectators choose them, and that all the more if these are hostile, so that he may overthrow whomsoever they match against him and thus vindicate his superior strength. Even so was it with Christ. He, the Life of all, our Lord and Saviour, did not arrange the manner of his own death lest He should seem to be afraid of some other kind. No. He accepted and bore upon the cross a death inflicted by others, and those others His special enemies, a death which to them was supremely terrible and by no means to be faced; and He did this in order that, by destroying even this death, He might Himself be believed to be the Life, and the power of death be recognised as finally annulled. A marvellous and mighty paradox has thus occurred, for the death which they thought to inflict on Him as dishonour and disgrace has become the glorious monument to death’s defeat. -Athanasius, On the Incarnation, trans. and ed. by A Relgious of C.S.M.V. (New York: St. Vladimir’s Seminary, 1993), 53-54. Note: If you do buy this translation of On the Incarnation, remember that it was translated at a Catholic seminary. Some of the theology in the book might have a particular “catholic” flare, but I believe that is more due to its translator than Athanasius. I have yet to read it in the original Greek, but if you have the time and ability, go for it! It’s in public domain here.